Our Services For Hassle Free Move, And Complete Peace of Mind, Look No Further, Let The Professionals Do The Job, Call MOVE Removals Now, We Will Take All The Stress Out Of Moving, The Job Is Not Finished Until You Are Happy. Our staff are expertly trained, motivated, diligent, thoughtful and skilful individuals. Together they form a highly cohesive determined team to provide you with all level of services unparalleled in the industry. Our slogan epitomises these very qualities FIRST � FAST � RELIABLE For a successful removal, it�s necessary to obtain all the relevant details concerning size of load, access at all addresses, customer requirements and special needs. This can be achieved by sending us a complete list of items/goods to be moved, together with other relevant information, or better still by contacting us so that we can arrange to send a representative to call on you at a mutually convenient time, you could also fill up the free quotation form which will help you remember things you have. We are able to visit during the day, early evening or on a Saturday. Our representative will discuss your needs with you and carry out a survey of your contents so as to enable us to assess the size of the load, the number of staff required and plan the time scale for your move. They will advise on the packing and preparation for your move, and can offer a full packing service with all necessary materials included. Alternatively, you may choose to do all or some of your own packing, in which case a variety of packing materials can be supplied in advance. If you would like us to do any packing, we might need to send the packing crew to you a day or so beforehand so that everything is prepared for the removal day. Whether you are moving home or business, moving across the globe or around the corner� We aim to meet your needs. From complete relocation assistance to help with certain aspects of your move, MOVE Removals will go that extra mile for you. We take care of the logistics of your move, from beginning to end� Let us handle the details and take the stress out of relocating. MOVE Removals can help facilitate every facet of your move, whether you are moving locally, nationally or overseas. We have extensive experience in both domestic and commercial relocations and offer a full range of services to suit everyone, from individuals and families to businesses and corporations. Our consultants will work with you to design and implement a relocation plan customised to your individual needs that is cost effective, efficient and stress free. Let us move you� you won�t be disappointed. Single Room / Entire Property Whether you need to relocate a single item or an entire house, office, corporation, MOVE Removals has the solution for you. Our consultants will be happy to talk through any queries you have and work with you to work out the best relocation plan possible for you. Long Distance or Short Distance We handle the smallest jobs to the largest jobs with the same care and air of professionalism that has earned us a reputation as one of the leading relocation companies in Britain. Our personalised service means you can rest assured that your possessions would be in good hands. Full Packing or Unpacking Service To ensure that the relocation process is as trouble and stress free as we can make it, MOVE Removals offers a full packing and unpacking service. We will discuss your personal needs, customised to as much or as little as you require, thus ensuring that your move is efficient and well organised. From the dismantling of self-assembly furniture to the removal of fixtures and fittings to the actual wrapping and packing of your possessions, MOVE Removals works hard so you don�t have to. If you are uncomfortable packing your goods and time is more precious for you, also taking the risk of packing yourself is greater than the value of the items ��., why waste either, let us take the hassle out of moving to give you the peace of mind that you deserve. Relax, its MOVE Removals. Packaging Materials Welcome to the easiest method to get moving boxes and packing supplies. Eliminate the hassle of scrounging for boxes and maybe bringing home more than an empty box! All our removal boxes and moving supplies are brand new, assured fresh, clean and bug free. Our prices are one of the lowest around and best yet our boxes are delivered to your door via courier within 1 to 5 days of your order or express delivery. In fact one cannot beat our quality and service combination. Please click here to start ordering. For Hassle-Free Moving Shifting to a new house or office but worried about transporting your valuable goods safely? MOVE Removals � PACKERS & MOVERS, one of the most reliable names in moving and packaging services. In the business for many years, our experience and expertise in the field has earned us immense respect and confidence of our clients all over UK. We ensure the safe delivery of your goods, to any location. Residential Removals � Home & Household Removals Residential Removals is a major affair in the lives of many individuals and families. Once you have finalized your thought of moving, you will need to be sure you choose Reputable Home Removal Companies who can transport all of your Household belongings to your new Home safely. Forget the rest, use the best, leave the job of Residential Removals to the Home Moving Professionals, we will make your move hassle free. We have built a reputation on Residential Removals with Trust and Customer Service for many years. You will find Professionalism & Reliability from us. By desiring our Residential Removal Company for your Moving Home Removals, you are joining a faction of people who have moved into their new homes, happily in the knowledge that MOVE Removals Ltd. provided them with High Quality Residential Removal Services, Moving, and Delivery Service. Office Relocation Specialist Office Relocation Specialist Office and staff relocation should run as professionally and cost efficiently as any successful business. This is why we aim to provide you with the best moving services and moves without any comebacks � our reputation is too big to make small mistakes. MOVE Removals crammed with moving experts can arrange a few desks or whole office blocks. Man And A Van Services MOVE Removals are also provide man and a van services with many years experience under our belt. We provide Man and Van hire services. Our Van and Man services rental and hire service offers the use of wardrobe cartons and boxes and can provide help with packing. All of our rental vehicles come with a tool box, trolley, protective blankets and ties (for securing goods in transit) as standard. Our uniformed staff are highly trained, with service and your satisfaction held paramount. We have expertise in all areas of removals and delivery services. We understand that you may not have a need for a removals company to move your sofa into storage, or to pick up some office furniture, so over the years we have provided from our company a man and van service to help people with the smaller needs compared to a just a London removals company. Man an Van service will not just transport your goods for you, but also can help you pack, load, and unload your belongings too, to ensure you are happy, and your need for a van and man service has been a good experience and not seen as a hindrance. 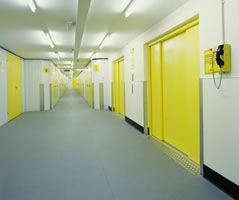 Storage Solutions There are many reasons why you may need to make use of our storage solutions. Among other reasons, if you have a buyer for your home, you may need to put your goods into storage until you are ready to move into your new home. Our storage solutions are customised to your individual needs, whatever your needs, MOVE Removals has the storage solution for you. Refrences or Reviews Over the years we have had the pleasure of moving numerous clients, many of who have moved with us several times. We provide pleasant and expert services to all our customers as attested by the many testimonials we have received. We also cover removals Abbey Wood, Acton, Anerley, Angel, Balham, Bansted, Barnes, Battersea, Bayswater, Beckenham, Bermondsey, Bethnal Green, Blackheath, Bloomsbury, Bow, Brixton, Brockley, Bromley, Camberwell, Camden, Canning Town, Catford, Caterham Central London, Charlton, Chelsea, Chingford, Chislehurst, Chiswick, City of London, Clapham, Clapton, Covent Garden, Cricklewood, Croydon, Crystal Palace, Docklands, Deptford, Dulwich, Ealing, Earls Court, East Dulwich, East Finchley, Earlsfield, East Ham, Eltham, Finchley, Finsbury Park, Forest Gate, Forest Hill, Fulham, Golders Green, Greenwich, Hackney, Hammersmith, Ham, Hampstead, Hampton Court, Hanwell, Hendon, Herne Hill, Highbury, Highgate, Holborn, Holloway, Homerton, Hornsey, Ilford, Islington, Knightsbridge, Kings Cross, Kensington, Kent, Kentish Town, Kew, Kilburn, Kingsbury, Kingston, Lambeth, Lee, Lewisham, Leyton, Leytonstone, Lower Edmonton, Maida Vale, Manor Park, Mayfair, Merton, Mill Hill, Mitcham, Morden, Mortlake, Muswell Hill, New Cross, New Malden, New Southgate, North Finchley, North Kensington, Northfields, Norwood, Notting Hill, Nunhead, Orpington, Oval, Paddington, Palmers Green, Peckham, Pimlico, Plaistow, Poplar, Putney, Ravenscourt, Richmond, Romford, Rotherhithe, Shepherds Bush, Sidcup, Southfields, South Kensington, South Lambeth, South Norwood, South Tottenham, South Woodford, Southgate, St Johns Wood, Stockwell, Stoke Newington, Stratford, Streatham, Southwark, Stamford Hill, Surrey, Sutton, Sydenham, Thamesmead, Tooting, Tottenham, Twickenham, Upper Edmonton, Upper Victoria, Uxbridge, Holloway, Walthamstow, Walton, Walworth, Wandsworth, Wapping, West Brompton, West Ealing, West Kensington, West Norwood, West Wimbledon, Westminster, West Wickham, Whetstone, Willesden, Wimbledon, Winchmore Hill, Wood Green, Woolwich, Moving? searching for Movers, removers, Removals North London (N London), North West London (NW London), East London (E London), South East London (SE London) , South London (S London) , South West London (SW London), West London (W London), Kingston upon Thames. Kingston upon Thames Removals. Kingston upon Thames removals companies. Domestic removals services Kingston upon Thames. Personal Effects and Furniture Removals Kingston upon Thames. Office equipment and furniture removals Kingston upon Thames, London. Free home moving quotes now. We cover household and home movers in Kingston upon Thames, London covering removals in these areas: Kingston upon Thames, Surbiton, New Malden, Chessington, Tolworth, Norbiton and Thames Ditton, Richmond upon Thames Removals. Domestic removals services Richmond upon Thames. Removals Richmond upon Thames. Personal Effects and Furniture Removals Richmond upon Thames. Office furniture removals Richmond upon Thames. We are one of the best website, helping you to move home from Richmond upon Thames, We also cover household and home movers in Richmond upon Thames. This Richmond upon Thames area removal page covers removals to, or from the following places: Twickenham, Richmond, London, Teddington, Hampton, Kew, Ham, Barnes, Mortlake, Whitton, Hampton Hill, Bushy Park, Hampton Court, Richmond, Park and, Broad Lane, and anywhere else within reasonable travelling distance Greater London and anywhere else within M25 to any distance. Consignments of any size from single items to full flat, house and office removals. This does not mean we cannot cover other areas, we have moved people from as far as Brighton to York. We will take care of your moving day.